The Bible says, “Trust in the Lord with all thine heart; and lean not unto thine own understanding. In all thy ways acknowledge Him, and He shall direct thy paths.” Prov. 3:5-6. Since I became a Christian in 1996, this is a principle that I have continually tried to practice in my life, and I have proven it to be true over and over again. So I pray that you will also trust in the Lord with all your heart. I promise you will never regret it. A great number of children today are being labeled with ADD/ADHD. 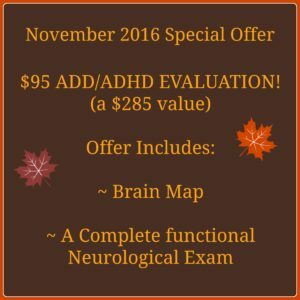 It concerns me that there are no objective markers commonly used to diagnose this condition, as doctors diagnose patients with ADD/ADHD purely on observation and perception rather than objective, provable laboratory tests. Therefore, this condition becomes a completely subjective diagnosis based upon perceived behavior by practitioners and educators. Did you know that it is documented that in today’s world Albert Einstein and Thomas Edison would have been diagnosed with ADD/ADHD and probably prescribed Ritalin? 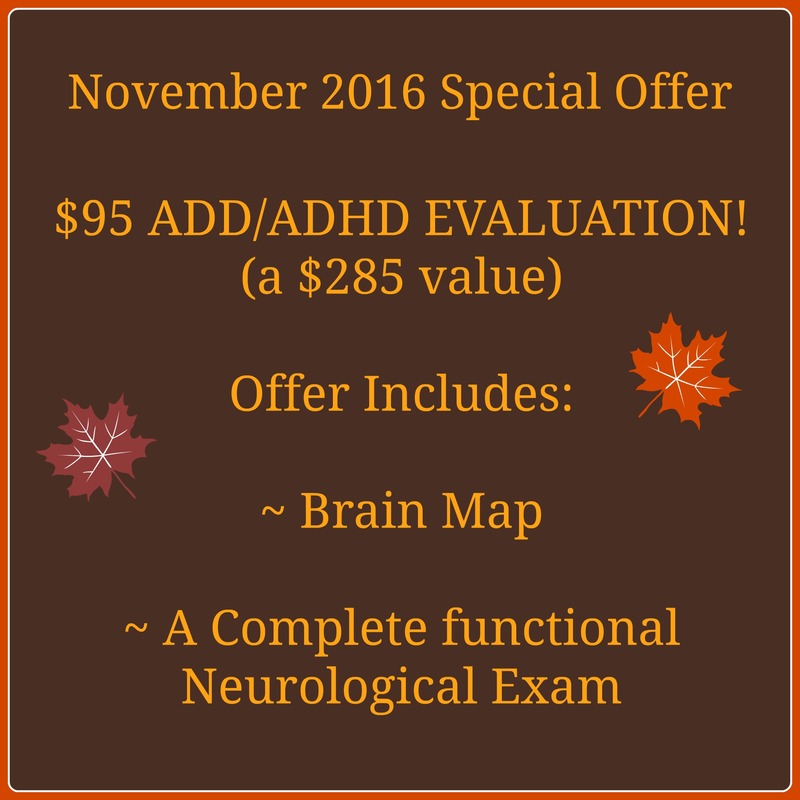 Ritalin is one of the most commonly prescribed medications for ADD/ADHD. Ritalin and other Class II narcotic drugs are in the same classification as cocaine and opium. These are highly addictive psychotropic drugs that alter the behavior and perception of a child. I believe these drugs rob children of their individuality in exchange for the assumption that children will be drugged into obeying. Even worse, Ritalin research studies have shown that 83% of children on Ritalin had trouble with frequent lying, 60% were still overactive and rebellious, 59% had contact with police, 52% were destructive, 34% threatened to kill their parents, and 15% contemplated suicide. There is a better way! Behavioral issues involving focus, attention, and hyperactivity can be effectively managed using conservative measures. These measures include nutrition, lifestyle changes, chiropractic, and neuro-integration. Beginning to understand the cause of the problem is the first step to having an effective treatment to correct it. 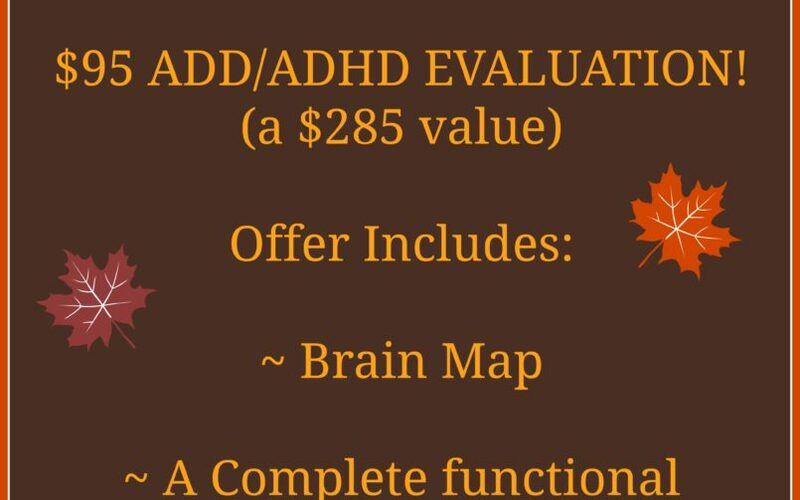 If you would like more in-depth information on how we can help with ADD/ADHD, contact our office at 281-354-8330 to receive a FREE DVD or click below to receive our free ebook. The link should open an email window. Just put “ADHD ebook” in the subject line, and we’ll send you a PDF file. While acute pain is considered a normal sensation triggered in the nervous system to alert you to possible injury and the need to take care of yourself, chronic pain is different. Chronic pain persists. Pain signals keep firing in the nervous system for weeks, months, even years. There may have been an initial mishap – traumas, sprain/strain injuries, disc protrusions, etc, or there may be an ongoing cause of pain – arthritis (inflammation), autoimmune conditions, and other metabolic disorders. Some people suffer from chronic pain in the absence of any past injury or evidence of body damage, and many chronic pain conditions affect older adults. Common chronic pain complaints include headaches, low back pain, neck pain, upper and lower extremity pain, arthritis pain, and neurogenic pain (pain resulting from damage to the peripheral nerves or to the central nervous system itself). A recent market research report indicated that more than 1.5 billion people worldwide suffer from chronic pain. Pain affects more Americans than diabetes, heart disease and cancer combined, affecting 100 million individuals in America, where as diabetes affects only 25.8 million, coronary heart disease/stroke affects 16.3 million, and cancer affects 11.9 million. Medical efforts to treat chronic pain often harm patients over time. Prescription painkillers are considered a major contributor to the total number of drug deaths. In 2007, for example, nearly 28,000 Americans died from unintentional drug poisoning, and of these, nearly 12,000 involved prescription pain relievers. Prescription drugs are the second-most abused category of drugs in the United States, following marijuana. The estimated number of emergency department visits linked to non-medical use of prescription pain relievers nearly doubled between 2004 and 2009. It is essential to address the cause of chronic pain, as this type of pain causes the nerves in your extremities (arms and/or legs) to die off. The key to eliminating your pain and/or numbness is to stimulate nerves that are called large diameter afferents (LDAs). LDAs prevent or inhibit pain, swelling, and numbness by firing into an area in the spinal cord known as Laminae II. Also, the firing of your brain must increase, especially the cerebellum. When we increase the firing of the brain and cerebellum, we decrease pain and/or numbness! We will discuss the therapies needed for brain and nerve stimulation in the next section. We manage all patients by evaluating three important areas of the human body, all of which can elicit pain sensation if normal function is lost. First, we look at a person from a structural standpoint. We perform static and motion palpation of the spine to assess any abnormalities of the muscular system and/or movement within individual vertebral segments. We also take and read spinal x-rays to look for degeneration (arthritis) and alignment issues (subluxation). Because the spine houses the nervous system, it is extremely important to restore spinal health. Second, we look at neurological health through a functional approach. We assess the central, peripheral, and autonomic nervous systems for any imbalances or dysfunction. We then correct those imbalances through non-invasive brain-based therapeutic exercises. Third, we assess a person metabolically by looking at various laboratory studies, including blood chemistry, genetic testing, hormone studies, immune system integrity, food sensitivities, and many more! Once we have completed a thorough evaluation, we use one or all of the following therapies depending on the specific level of care that your condition requires. Faster healing by stimulating fibroblast development (these are building blocks) in damaged tissue. This process can help in the reduction of recovery time. Increased metabolic activity by helping the body to increase output of specific enzymes and of oxygen to cells along with inducing an effective immune response. Increased vascular and nerve activity by stimulating lymph and blood circulation to allow affected tissue to have the best possible circulation. It may also stimulate nerve function by speeding the process of nerve cell reconnection to bring numb areas back to life. Far Infrared Heat (FIR) – this is not your standard “heating pad.” The heat we use in our office is far infrared heat, the deepest heat penetration available to help heal tissue. Peripheral Neuropathy Rehabilitation Therapy (PNRT) – used to stimulate the large nerves in the feet and hands (LDAs) at 7.83 Hz (the same frequency of nerves) in order to gently “wake up” and retrain the nerves. The brain and nerves need fuel and activation. This therapy will activate the weak areas of the brain and nervous system, causing them to work and grow stronger. Non-Surgical Spinal Decompression (NSSD) – may be needed in some cases of chronic pain and peripheral neuropathy because of impingement on the nerves coming off of the neck or lower back. This therapy is addressed on an individual basis with each patient. Nutrition Support Therapy: any metabolic problems will affect the brain and nervous system first because the brain requires 30% of all the energy you can produce. Therefore, a functional blood analysis will be performed, and a specific nutritional program will be recommended to advise any underlying metabolic conditions which may be contributing to your pain. The end of your chronic pain nightmare begins with finding the true cause of your pain and then addressing this cause instead of simply masking the symptoms through drugs. Visit our YouTube channel to view other patients’ testimonials on how they got their lives back from this debilitating problem. Make the commitment to invest in your health. You will not regret it! All chronic illnesses have common threads including blood sugar imbalances, anemia, adrenal dysfunction, thyroid problems, hidden infections, and others. The causes of chronic illnesses can be divided into two categories – metabolic and neurological. The metabolic category is defined as your body’s ability to break down food and produce energy. This category includes all organ function and biochemical processes. The neurological category is defined as your brain and nervous system’s control over every function that occurs in the body. Gut Infection: One of the most common causes of all chronic digestive conditions. Infections can be caused by several different factors such as bacterial, fungus, yeast, parasite, and viral problems. Decreased Gut Flora (Probiotics): If you have attended our health seminars and/or have been reading our newsletters, you know that probiotics is one of the nutritional supplements that I recommend to everyone, everyday, because of the attack on probiotics in our gut and the lack of probiotics in our food supply. Food Sensitivities: An increasing problem because of the changes that have been made to our foods. 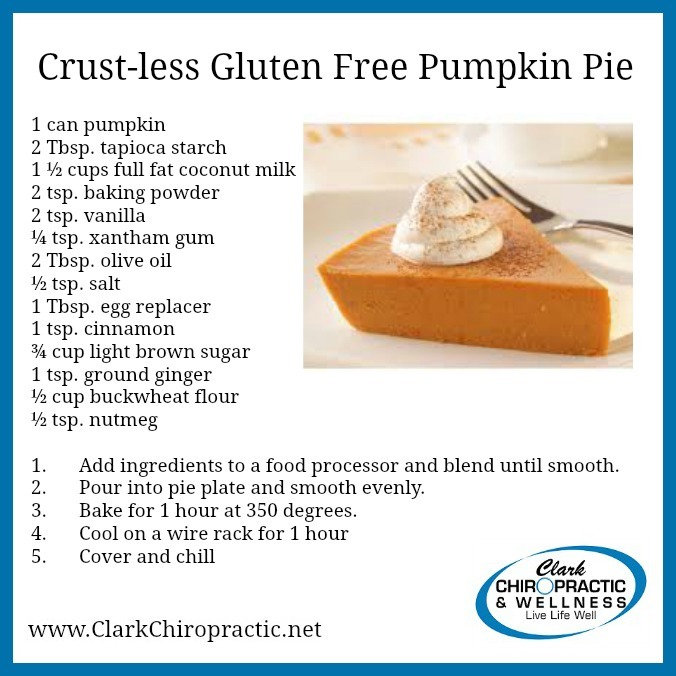 The most common sensitivities are wheat (gluten), dairy, soy, eggs, and corn. Auto-Immunity: Most people are unaware that digestive problems are often a result of an auto-immune attack to the gut by the immune system. There can be a number of causes for auto-immunities. See my video playlist for more info. Leaky Gut Syndrome: Occurs when the lining of the intestines has become damaged due to inflammation, infections, or other conditions, allowing the undigested food inside the digestive tract to pass into the blood stream and causing an immune reaction or systemic/full body problem. Over-firing Sympathetic Nervous System: The Autonomic Nervous System (ANS) consists of two parts – sympathetic and parasympathetic. The sympathetic system is for emergencies and is commonly known as the “fight or flight” response. The parasympathetic system is for resting and often called the “rest and digest” phase. In order to have proper digestion, the parasympathetic system must be dominant. Both systems cannot be dominant simultaneously. Peripheral Neuropathy of the Enteric Nervous System: This is the beginning of nerve function loss to the gut itself. You may have heard of peripheral neuropathy in the hands and feet, but neuropathy can also happen to nerves controlling gut function. This can be affected or caused by blood sugar problems, auto-immunities, anemia, inflammation, and more. depression – if doctors do not know the reason for the condition, they may assume that the problem is in your mind and that you are just depressed. There is a connection between the gut and the brain called the gut/brain axis. 60% of those suffering with IBS will have a psychosocial disorder such as depression, anxiety, fibromyalgia, chronic headaches, and chronic fatigue. The cause for this is chronic inflammation – as I have often said, “If your gut is on fire, your brain is on fire.” Inflammation always leads to degeneration, and a chronic gut problem will eventually lead to a degenerative brain condition. Another reason is the immune battle going on in the gut. Immune cells called cytokines, which act as messengers, also talk to the immune cells in the brain. This will set off an immune battle resulting in inflammation in the brain. It is worth noting that 70% of your immune system is in the gut. These symptoms will vary and may even decrease after bowel movements. However, if you have any consistent digestive problems, you should be evaluated thoroughly. Your body is not only possibly digesting poorly (you are not what you eat but what you absorb from what you eat), but your brain and the rest of your body are also being damaged. 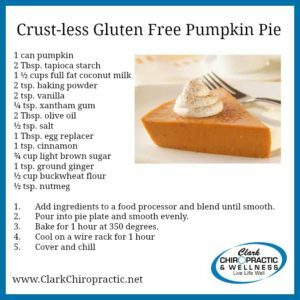 Copyright © 2016 Clark Chiropractic & Wellness, All rights reserved.